From Cars, to Trucks, to Busses we can refrigerate just about anything! Ask us for a quote today! 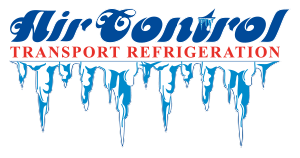 Air Control’s professionally trained specialists offer a comprehensive repair and maintenance service in Western Australia. Also all other refrigeration and air conditioning associated work considered and quoted for. What type of Truck Bodies can you refrigerate? Any! At Air Control we have a full manufacturing facility to cater for all vehicles. Whether its a Truck, Bus, Van or Ute we can do it all. I just have a trayback Ute, can you help me? Absolutely! In our in house fabrication area, we can manufacture bodies for most Utes, plus insulate and refrigerate! Do you do periodic services? or just installation? We do it all! Efficiency checks, calibration and certification of temperature recording equipment, periodic servicing and more! Can you regas my car's air conditioner? Sure! Just make an appointment with us and we’ll be more than happy to re-gas your car’s air conditioner. We can also service it aswell! What brand are your Air Conditioner units? We supply and install the high quality Hwasung Thermo units. The units are manufactured in South Korea and imported and distributed in Australia solely by Air Control. Servicing is a very important part of your refrigeration units longevity. A unit that is regularly serviced by qualified technicians will last alot longer and ensure that the items you are keeping cool, stay cool. If the unit fails through lack of servicing, imagine the cost of the lost stock.